Snow has fallen and Lily and Daniela are excited for their snow day! The girls have headed to the local park. They are trying to come up with some fun ideas for playing in the snow. “Build a snowman?” Lily asked. “I didn’t bring a carrot,” Daniela sighed. 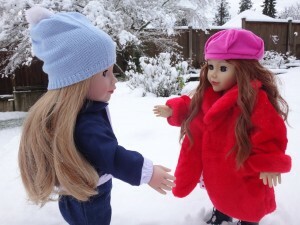 “A SNOWBALL FIGHT!” Daniela shouted. The snowball splattered all over Lily’s back. 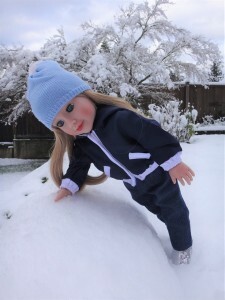 “Whoa!” she shouted as she lost her balance and stumbled into the snow. “You okay, Lily?” Daniela asked. 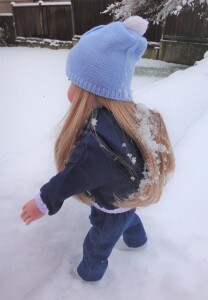 Lily reached into the snow to grab a snowball of her own. “Daniela?” she called to her friend. “Over here, Lily!” Daniela replied. “Heads up!” Lily shouted as she tossed her snowball at Daniela. “Ha ha ha,” Lily laughed. 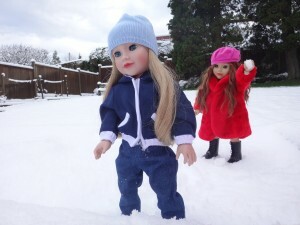 Lily and Daniela have had a fun day in the snow! Now they have to go home. “But we didn’t get to build a snowman,” Daniela said. 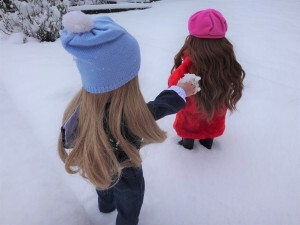 Want to make a snowman with Lily and Daniela? 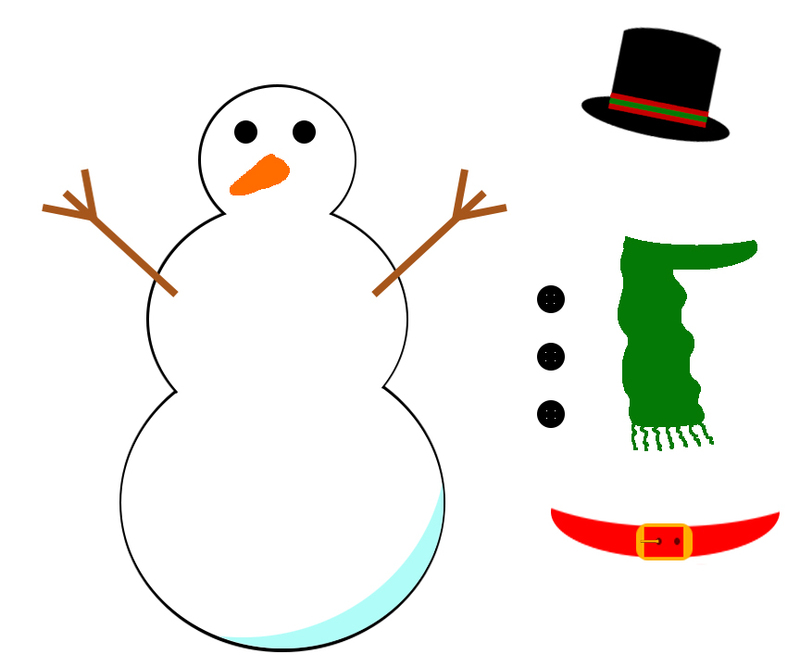 Print the craft below to make your own snowman to decorate!